I got a call from my house owner this morning stating that he wanted to sell his house. It was a shock to us. I have no job my son is doing his 12th std. My wife is also studying. I do not have the money to shift to a new house and we are being praying to Jesus for building a new home and for a job for me. 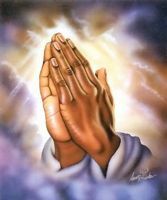 Please pray to Jesus and ask Jesus to give us a new house and a good job for me.